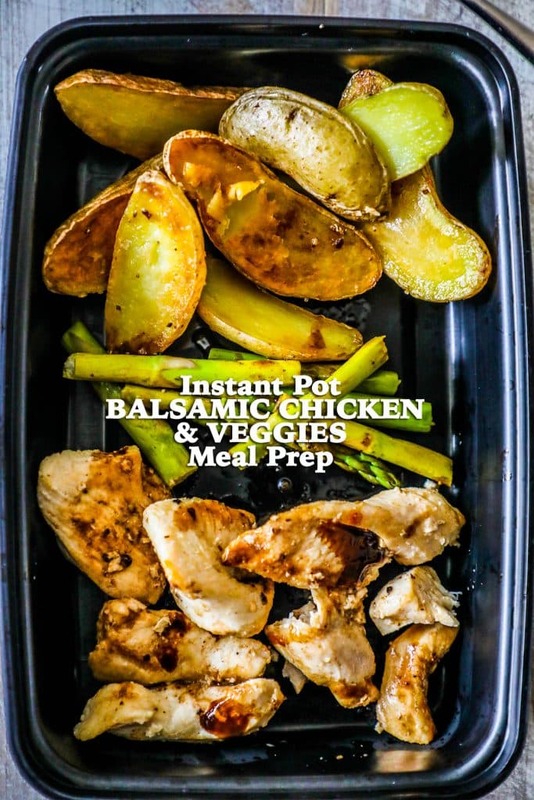 Instant Pot Balsamic Chicken and Vegetables meal prep is an easy healthy family friendly meal – 5 lunches in 20 minutes! Meal prep has never been my strength – especially easy, healthy planned meals. When I was working as a lobbyist, I’d rely on Lean Cuisines and other microwave meals to get me through the week – I was too busy to cook, even though I loved it. I’d come home late from long nights at political events and not have any energy to make dinner for the evening, let alone plan out lunch for the next day. I spent (and wasted) so much money eating out in my 20’s- I wish I had an Instant Pot then! 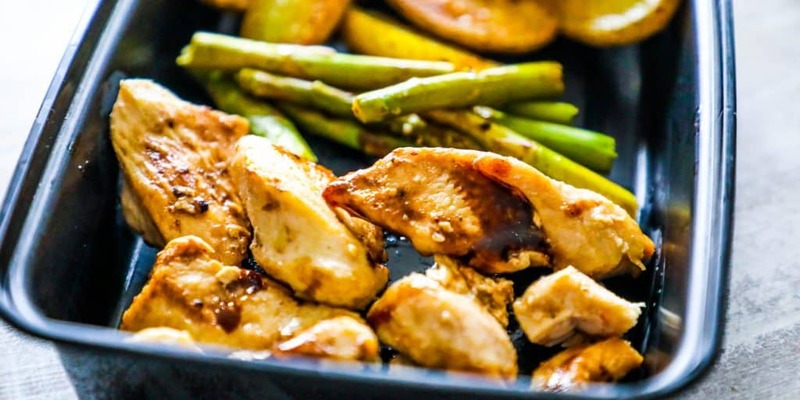 This recipe is just like the Lean Cuisines I spent so much on – only a million times better! It is so full of flavor and delicious, and even my kids LOVED it. My daughter asked when we were going to eat this dish again about five times after the first time I made it! This meal is simple, easy, and totally delicious. Plus it’s gluten free and healthy- naturally! 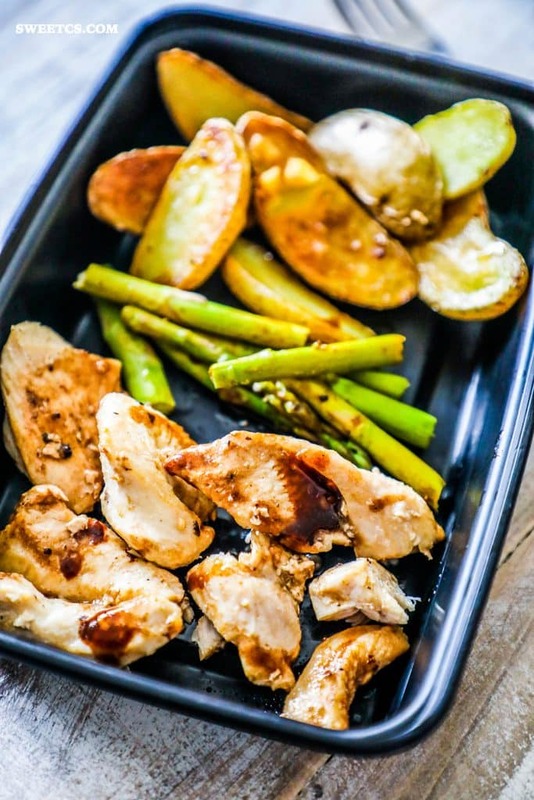 There is nothing better than a healthy, protein packed lunch to help fuel your day when youre trying to avoid eating out or resorting to junk! I’ve recently found the absolute best meal prep bowls, which make a huge difference. They are sturdy, safe, and don’t give off weird flavors – perfect for taking lunch on the go! You can grab a set of 7 for less than $11 here. To be able to make this meal in truly just one pot, we do need a handy insert for the instant pot – but don’t worry – it’s less than $30 and CRAZY versatile. Get you stacking pan inserts here. Of course, if you haven’t hopped on the Instant Pot Bandwagon, you need to! This thing is amazing. Full roasts done in under and hour, soups in 10 minutes, it can even cook whole chickens! 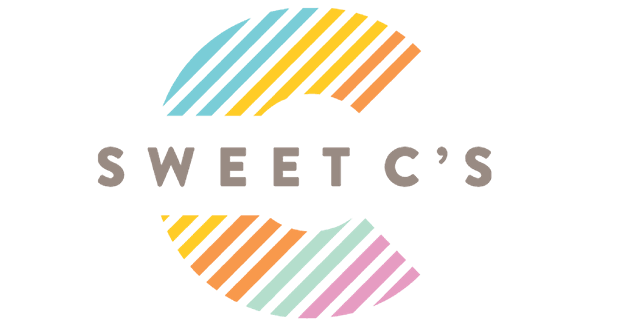 Grab your instant pot here. Looking for more delicious ideas in an Instant Pot? 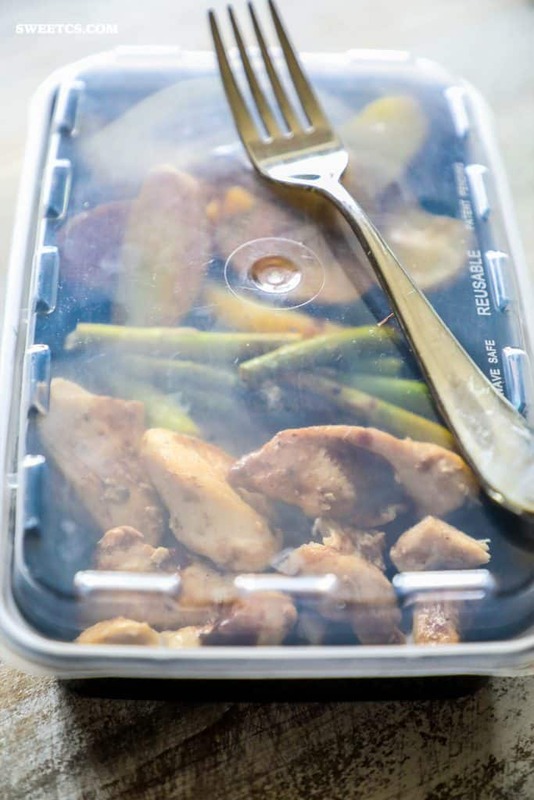 Instant Pot Balsamic Chicken and Vegetables meal prep is an easy healthy family friendly meal - 5 lunches in 20 minutes! Turn instant pot on and set to sautee on high. 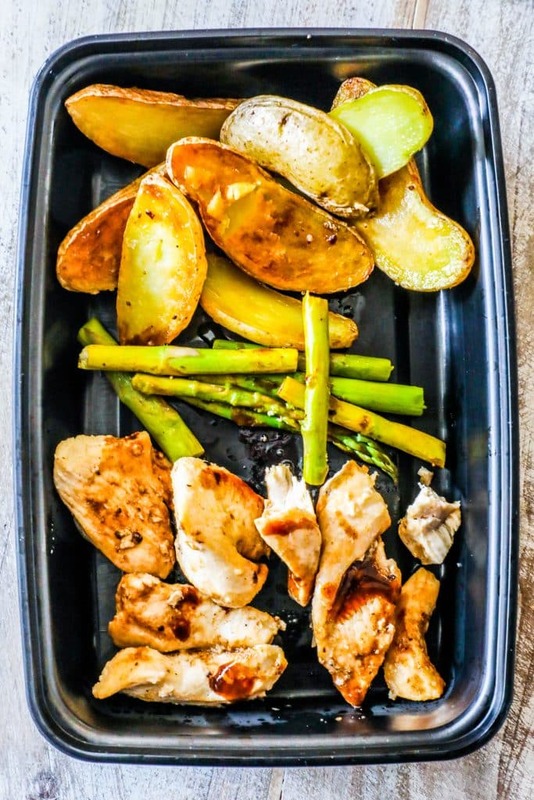 When potatoes are browned, remove and add to stackable insert pan. Add chicken to instant pot and brown. Remove chicken and add to second stackable pan insert. Deglaze instant pot with water, making sure to scrape up any bits from browning the chicken (if there is any scorching on the bottom of the instant pot pan, it will not pressurize). 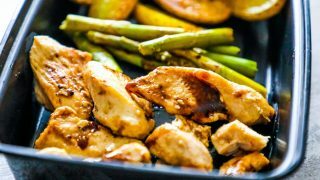 Add asparagus on top of chicken, drizzle with balsamic. Set instant pot to seal and cook at high pressure for 3 minutes. Let naturally release for 10 minutes. Portion into meal prep bowls or serve immediately. I tried this exact recipe and unfortunately, there was no taste.